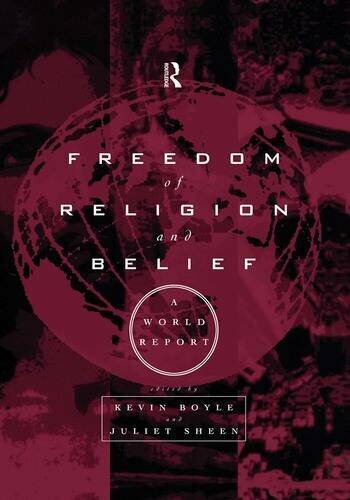 Kevin Boyle is a Professor of Law and the Direcotr of hte Human Rights Centre, Univeristy of Essex. He is a Barrister at Law in Northern Ireland, the Republic of Ireland and England with considerable experience of international human rights litigation under the European Convention of Human Rights. Juliet Sheen is a Fellow of the Human Rights Centre, Univeristy of Essex. In 1994 she established an independent consultancy in human rights, specialising in the area of freedom of region and belief.